Women’s sports fans have always had to work harder to find news and commentary on their favorite sports. We’re working to make it easier. WSC Radio Show: August 23, 2013: World University Games recap, golf around the world and more! After a summer of traveling around the world, Brenda and Mechelle are back together to discuss the World University Games, the British Open, the Solheim Cup, the WNBA season and the upcoming NCAA volleyball and soccer seasons. Catch up with Women’s Sports Central! Comments Off on WSC Radio Show: August 23, 2013: World University Games recap, golf around the world and more! Brenda and Mechelle discuss North Carolina’s 21st soccer championship, the upcoming volleyball regionals and great non-conference Top 25 basketball games. Brenda and Mechelle discuss the Chamique Holdsclaw situation, overview the week in basketball highlighting Baylor, Penn State and the Big Ten conference and check in on the end of the volleyball regular season. 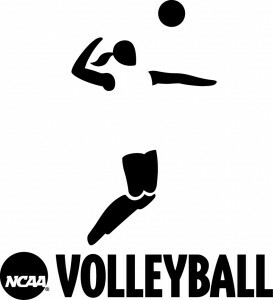 Brenda and Mechelle break down NCAA Volleyball, and the recent upsets, and preview the 2012-13 college basketball season, with an in-depth look at the Big 12 Conference. Brenda and Mechelle discuss the WNBA Finals best-of-five series featuring the Indiana Fever and the Minnesota Lynx. Mechelle and Brenda discuss Pia Sundhage’s role with the U.S. Women’s National Soccer team, NCAA Volleyball action and the upcoming WNBA Playoffs. Brenda and Mechelle catch up on a bunch of happenings in women’s sports including the British Open, NCAA Volleyball Power Rankings, Notre Dame’s move to the ACC, Serena Williams’ legacy and the hot issues in the WNBA. After a break for the Olympics, Brenda and Mechelle reflect back on the Games, then discuss the WNBA season and NCAA volleyball. Brenda and Mechelle preview upcoming big women’s basketball games this weekend including UConn at Baylor and the volleyball national semifinals. Brenda and Mechelle throw out their predictions for the NCAA Volleyball National Semifinals. What do you think? They also review the week in women’s hoops including Kentucky’s 72-65 win over Duke in front of 14,508 fans and preview upcoming big games this weekend. View more by category: WSC Radio Show (53), News (35). .